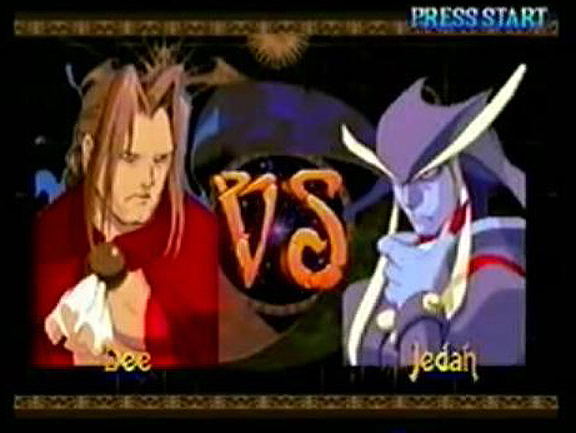 Dee is a secret character found in the Japan-only Vampire: Darkstalkers Collection. 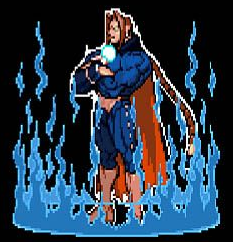 He is playable in the "Arranged Versions" of Vampire Savior. 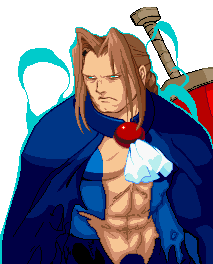 Dee is essentially what Donovan becomes several years after his Vampire Hunter ending. 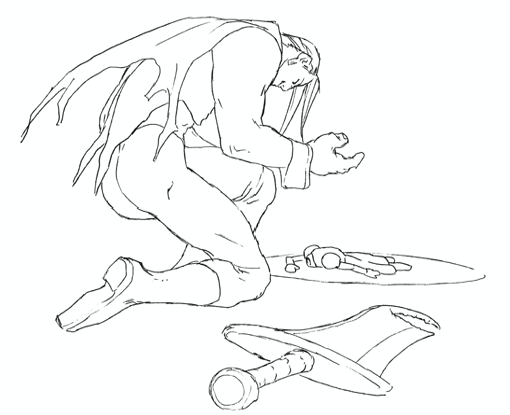 As Dee, Donovan has finally surrendered to his dark side, and Anita is no longer with him. 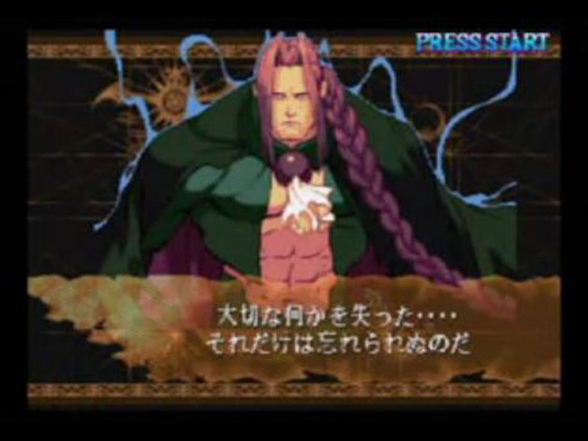 In gameplay, he uses many of Donovan's moves and also some borrowed from Demitri. 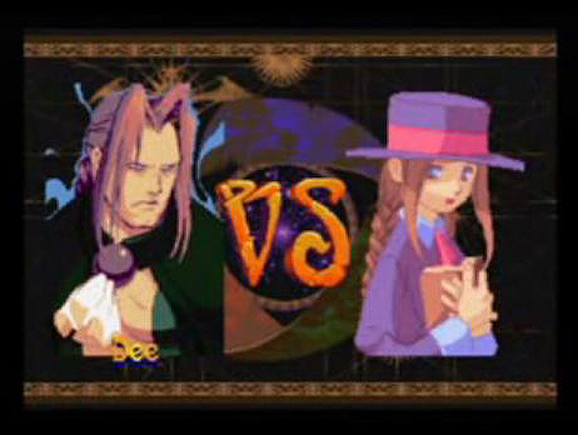 It is speculated in Dee's ending that Anita has mentally projected herself as her younger self, beside Donovan's original incarnation. 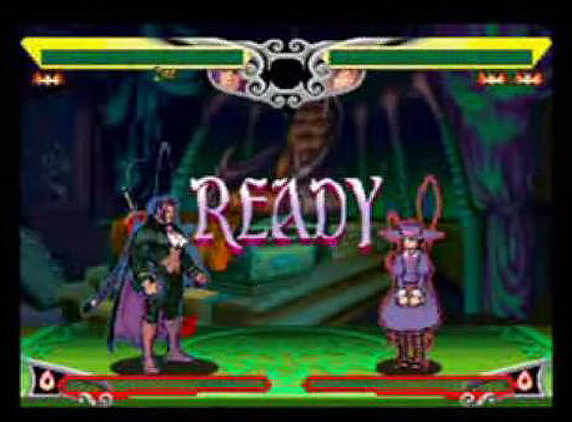 A battle begins when Dee confronts Anita as she shows her true, older form. 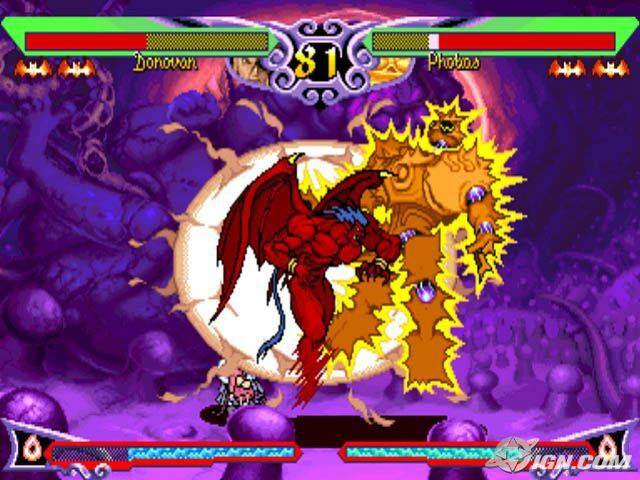 The outcome of this fight isn't shown in the ending, but several pictures are shown of the older Anita visiting a grave in the credits. 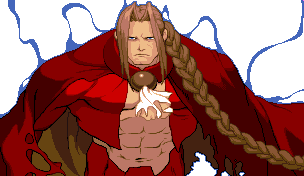 Even though he's a blatant sprite-edit (Donovan's head on Demitri's body), Dee is a cool design because he's a part of Donovan's storyline. 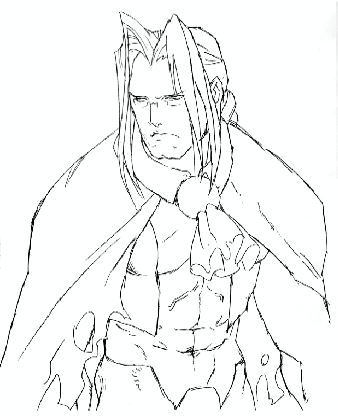 His official artwork in the game also looks pretty damn cool. 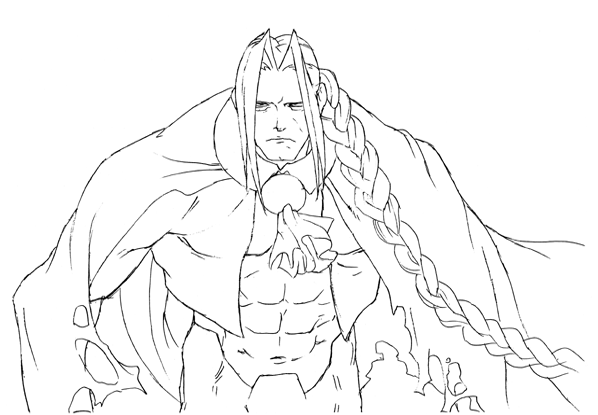 His fighting style is a mix of Donovan's and Demitri's... which is a bit lazy I suppose, but also pretty cool in a way. 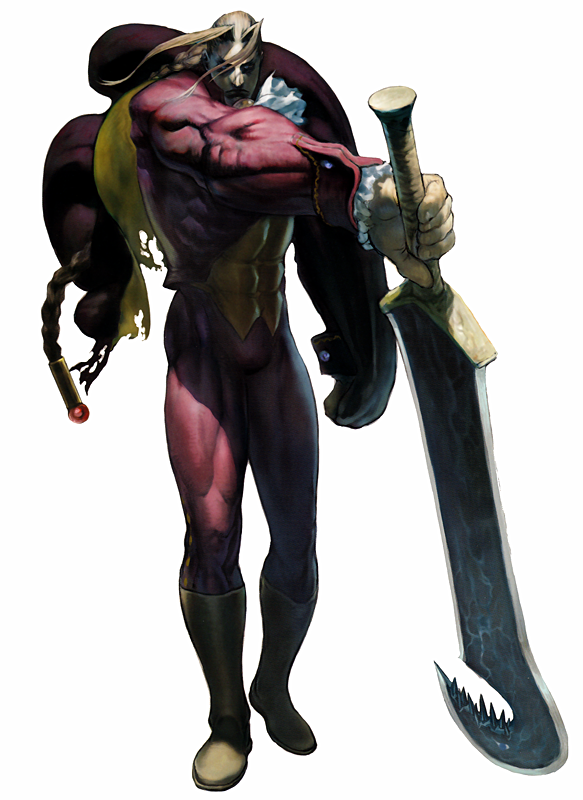 Anyhow, 'd like to see Dee fully fleshed out in a future version of Darkstalkers.